Originally published under the title, "The Ghosts of Old Baghdad." The Shorja market area in Baghdad, once filled with Jewish businesses. A few hours in the Shorja open market in Baghdad can teach you a lot – about the Middle East's past, its present and its apparent future. What's to be found there is informative. What is absent – equally so. My fixer, Yusuf, hadn't wanted to take me to Shorja. I was in Baghdad for a reporting project on the Shia militias. 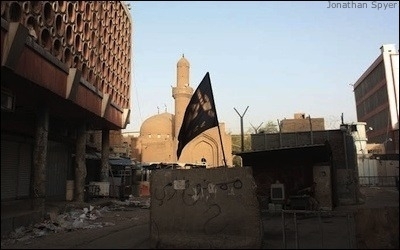 Between heading for Anbar with Kata'ib Hezbollah and up to Baiji with the Badr Corps, we had a few hours of downtime in Baghdad, so I suggested we make for the market area that had once formed the hub of the city's Jewish community. I am no expert on the Jews of Iraq. But a friend's Iraqi father back in Jerusalem, upon hearing that I was heading for Baghdad, had mentioned the Taht el Takia neighborhood in the heart of the market where he had grown up and asked me to take some pictures if I had the chance. "Old Baghdad isn't really safe anymore. We won't be able to walk around," Yusuf told me as we debated the issue. "After the Jews were kicked out in the '50s, a load of poor Shi'a moved in and they have been running it ever since." There has been a market at Shorja since the Abbasid period in the 8th century. I tried to ascertain what exactly the danger was. But, like much else in Baghdad, it wasn't clear – just a general sense of foreboding, and maybe justified paranoia, of a kind that seemed pervasive in the city. Baghdad carried with it a tense and febrile atmosphere. Roadblocks everywhere. Muscular, armed men and light armored vehicles outside the hotels. 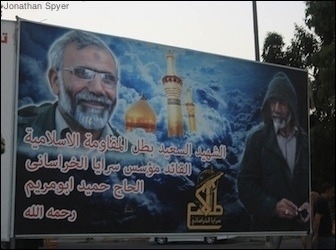 Logos and pictures of armed Shi'a irregulars on every street corner. These latter were the forces defending the city against the Sunni fighters of the Islamic State. So I understood Yusuf's reluctance. His driver, an older man and recent refugee from Anbar, was tired, too, and clearly had no special desire to head out into the 40 °C heat of the afternoon – still less if the destination was a poverty stricken Shi'a section of the city. All the same, I was paying them and didn't feel like spending the whole afternoon sitting around drinking tea and smoking, so I persisted and finally Yusuf agreed. "Taht el Takia? Well, we'll go there and see what's there. But if I say it isn't safe, we don't even get out of the car." 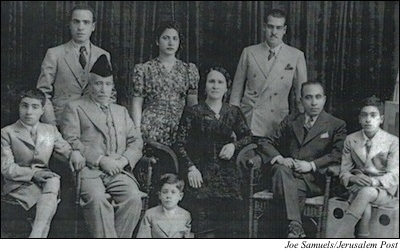 A Jewish family in 1930s Baghdad. Read more about their story. We set off back into the heat of the afternoon and began the drive to Old Baghdad. After a while, we reached al-Rasheed Street and began the search for the neighborhood. The market and area surrounding it were ramshackle and neglected, looking like they'd last been renovated sometime in the 1970s. Yusuf began to ask passersby about Taht el Takia. Everyone seemed to have heard of it, but no one quite knew where it was. "The problem is," Yusuf said, "that most of the people here belong to families that came in from the countryside when Baghdad expanded in the 1960s so they don't really know all the names of these old neighborhoods." This had once been the vibrant heart of Baghdad's Jewish community though not the slightest memory or indication of that was to be found. We wandered the deserted, silent alleyways filled with garbage from the market. After a few minutes, a plump security man wearing a tatty army uniform with a maroon airborne-style beret on the back of his head, appeared and began to shout and gesticulate in guttural Baghdadi Arabic. "No pictures," Yusuf told me. Having established his authority with this arbitrary order, the guard then became friendly and inquisitive. I told him I had come to look at the area for the father of a friend of mine who had left in 1951 and hadn't seen it since. "Oh, a Jew , yes?" he said. I decided to answer in the affirmative, feeling vaguely that to have denied this would have been a sort of betrayal. "From Israel?" the guard persisted. This was going too far, and I replied that I had arrived from England. The guard was amused by this, and with a show of magnanimity said we could photograph the adjacent mosque and the outside areas, but that he didn't recommend going too far into the warren of alleyways, since it was getting dark. "Anyone could see that you're a foreigner and just produce a weapon and say 'come with us," he suggested, grinning broadly. "I don't even go in there myself after dark." He brought us some bottled water by way of a consolation prize. "By the way," he said as we parted, "ask your friend's dad if he can get me asylum in Israel." The expulsion of Baghdad's Jews was a portent of unfathomable brutality to come. Some 60 years on, in Baghdad the Jews are a ghostly memory. The poor Sh'ia who moved into their vacated houses and the mass of the population that came later are neither moved by nor curious about their buried stories. There are, it is said, seven Jews remaining in the city. The old synagogues are long since demolished or boarded up. The mezuzahs long prised from the doorways. The Laura Kaddoorie Alliance Girls' School, the Jewish Institute for the Blind, the shops of Yehezkel Abu al-Anba and Fattal. All gone. As it turns out, the expulsion of Baghdad's Jews was a portent of what was to come. The Jews were the first minority to be ripped from the fabric of Iraqi society. 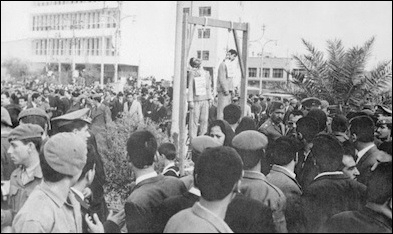 For a long, subsequent period, stagnation followed and dictatorships of unfathomable brutality imposed their will on the country. These ensured the dominance of the Sunni Arab minority while other communities lived an uneasy, truncated existence, visited by intermittent catastrophe. Following Israel's defeat of Arab armies in the 1967 Six Day War, the small number of Jews remaining in Iraq were singled out for retribution. Nine were executed in Baghdad's Liberation Square in 1969. That period ended in 2003 with the overthrow of Saddam Hussein. Today, in Iraq, similar forces of tribalism and sectarian hatred to those that ended Baghdad Jewry's long and illustrious history are tearing the whole country to pieces. And with the irony that history favors, the primary victims of today's sectarian agitation in Baghdad are the formerly ascendant Sunni Arabs ‒ the same dominant population for whom Arab nationalism was the chosen banner in the 20th century. That is to say, the population that produced those responsible for the expulsion of the Jews in the 1950s is today suffering a similar fate to their former victims. The primary victims of today's sectarian agitation in Baghdad are the formerly ascendant Sunni Arabs. "The government doesn't trust Sunnis," Hikmat Guwood of the Albu Nimr tribe tells me. "They only trust the Shi'a militias, who are armed by Iran." Guwood is a leader of the Albu Nimr tribe of Anbar, who worked closely with the Americans during the "Anbar Awakening" of 2006-2007. This has made him a marked man for the Shi'a militias of Baghdad, who suspect that he is still operating for the US. A few days before our interview, he was attacked in his home by Shi'a militants. By Kata'ib Hezbollah he tells us, naming one of the most powerful and feared of the militia groups. So he is going to Erbil, the capital of Iraqi Kurdistan. Guwood isn't a Kurd, of course. But in Kurdistan, at least, there is something approaching a government, he says. In Baghdad, by contrast, "The government controls nothing. [Prime Minister] Abadi has no power. The real power in Iraq today is the militias, he says. What of the future? In an opinion one hears a lot from Iraqi Sunnis, Guwood no longer wants the strong, unitary (Sunni-dominated) state that existed until the 1990s. Rather, he is calling for a "Sunni federation" in the majority Sunni areas to exist alongside the Kurdish area and the Shi'a-dominated south and Baghdad. The latter, he considers, has effectively become the capital of an emergent Shi'a state. The problem for Iraqi Sunni Arabs, of course, is that the area of their own majority in the center of the country is currently under control of ISIS. As Hamed al-Mutlaq, an MP and former general in Saddam Hussein's army puts it: "Iraq is now divided. In fact, worse than divided. The Kurds and Shi'a are safe in their areas, but the Sunni component of the society has no existence and is displaced. Those who remain are under the sword either of ISIS or of the Shi'a militias." As for the new and future masters of Baghdad, they too have a very clear plan for the direction of events. The Shi'a militias facing ISIS in Anbar Province west of the city, and in Baiji to its north sense the wind of history at their backs. The men of the Kata'ib Hezbollah militia are open in their allegiances and their intentions. "We rely on God and the family of Muhammad," one bearded, red-eyed fighter declares to me, at a frontline position 10 kilometers from Ramadi, the capital of Anbar Province, which fell to ISIS in May. Or, more prosaically, as Abu Mahdi al Mohandis puts it at a meeting of commanders near Baiji city, "We rely on capacity and capabilities provided by the Islamic Republic of Iran." 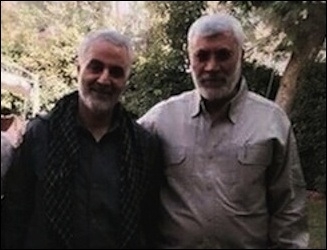 Abu Mahdi is reputed to be the key figure alongside the Quds Force's Qassem Suleimani in coordinating Iranian aid to and supervision of the militias. So he knows what he's talking about. The Shi'a militiamen I interviewed view themselves as the nucleus of a new, Iraqi version of the Revolutionary Guards, guarding the piety and Shi'a nature of their Iraq. As one Badr Corps commander expressed it: "In the future, our militias will form something like the Basij militias in Iran – under the control of the "Marjiya" (Shi'a religious leadership) alongside the army." It is a fundamental, long awaited shifting in the basic contours of power across a large swathe of the Middle East (the area between the Mediterranean Sea and the Iraq-Iran border). A mighty, long suppressed ferment of religious and sectarian fervor. It was a long time coming and now it's here.